It’s not Really Spam When They Show How Much They Really Care … Is it? I almost forgot about all of you. Not in a bad way. It’s just that I’ve been mentally pre-occupied since February. Preoccupied with thoughts. Too many thoughts, like, how could my job be eliminated after 8 years of loyal service. And how could people I trusted not even fond enough to say goodbye. And then about how silly all those thoughts were because it really doesn’t matter. But it does. It’s taken me way more time to move on than I thought, but I feel like I’m almost there. 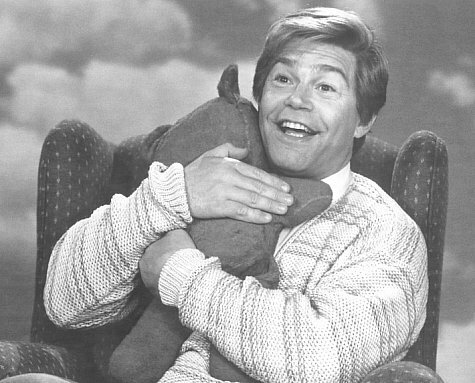 Sure, your brain says all that Stuart Smalley stuff, I’m good enough, I’m smart enough, and gosh darn it, people like me. Blah Blah Blah. So I wallowed, at first knowingly, then without realizing it, the highlight of my day became getting my daily bingo credits (more in 23:59:58). The house wasn’t getting any cleaner, I wasn’t getting any thinner, and no writing was getting done. Did I mention that a literary agent looked at 40 pages of mine and reacted like I was wasting her time? Yes I paid her. And she had some valid points. But I didn’t see them. All I saw was Stuart Smalley in his cardigan mouthing the word: LOSER. This is what happens when OCD folks like me get rejected. When we make a huge emotional, physical, intellectual and spiritual commitment and get crickets, or worse, not even crickets. We dwell. And dwell, and yes, dwell some more. We lose our confidence, our trust in our own ability to thrive. But the clouds are clearing, really. So no worries gang, but it’s been a long, strange trip. Such valuable information a b bout the uture. I’ve been surfing online more than three hours today, yet I never found any interesting article like yours. Awww, shucks. I hope to give something back and help others like you helped me. Heya, who said I had no purpose? Well put, best touch kitchen faucet! Oh there’s a place for you somewhere… delete forever.